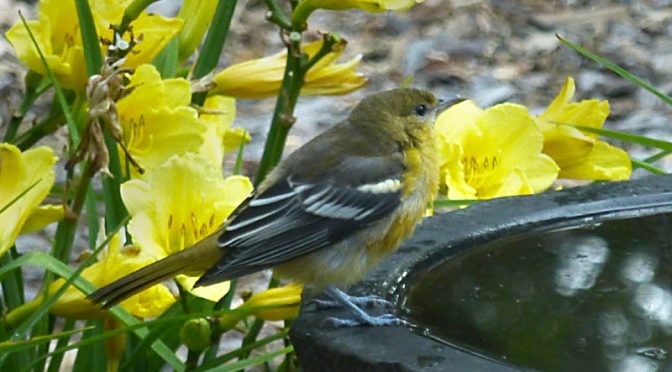 With all of the birds having chicks in the past few weeks, we sure do have a lot of juvenile Baltimore Orioles in our yard. They seem to come here to feed from our “never ending Grape Jelly feeder,” for a drink and then a bath. Not bad! This little guy was so cute in our bird bath. He almost matches the flowers in the background, huh? So pretty! What are those flowers? Stella D’oro day lilies?